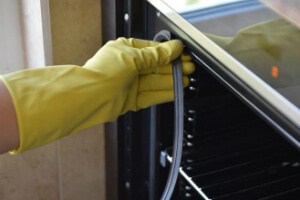 Oven Cleaners Leaves Green BR2 - Domestic & Commercial Kitchen | Quality Property Care Ltd.
Every housekeeper needs a fast and reliable professional oven cleaning! Quality Property Care Ltd. offers it at a reasonable price and without any impact on your healthy lifestyle! Don't hesitate to get your residential and commercial oven cleaning on 020 3746 4287 on every day of the week with no exception for holidays or weekends! 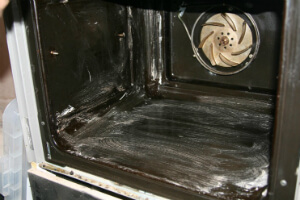 As an trusted cleaning expert that has been in the industry for many years, Quality Property Care Ltd. is a professional oven cleaning company that can deal with all types of ovens. We disassemble the devices for more detailed disinfection. In the end, we re-assemble them for free. Submit an order for flawless oven cleaning in Leaves Green BR2. Make your dishes healthier and nicer. We will remove all the grime and burnt. We also eliminate the sticky spots and the organic leftover residues. Feel the difference in your clean kitchen and enjoy your cooking with a sanitised and freshed up oven. It is cheap and easy now! We clean with environmentally friendly and approved cleaning solutions. To ask about current deals and discounts, and to book the professional oven cleaning services, you need to send and online booking form or call on 020 3746 4287. You will receive a written confirmation in your email and as a SMS. No deposit is required, and there are no hidden fees in this service. Combining more than one cleaning services will earn you a great discount.